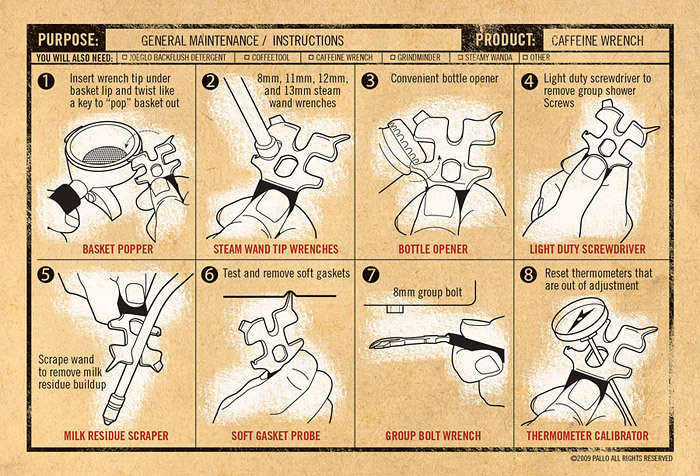 This small, all-in-one tool is a must have for baristas. See all the functions it performs below. 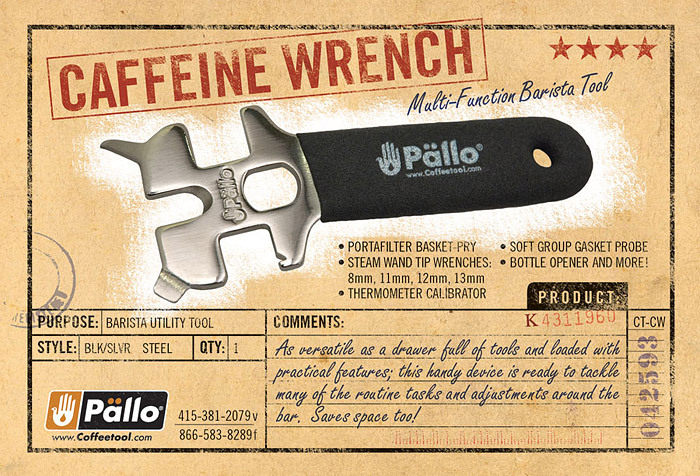 The Caffeine Wrench is about 5 inches long x 1.75 inches at the widest point.